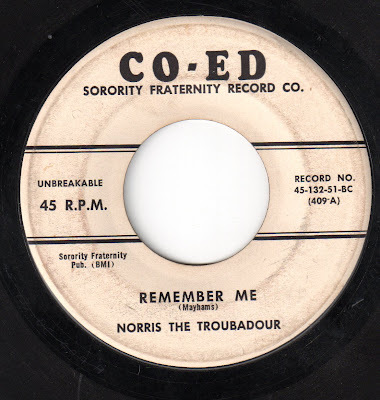 The high point for the song-poem industry overlapped in part with the years of the Vietnam war. And as a result, there are an abundance of song-poems which touch on various aspects of that conflict. 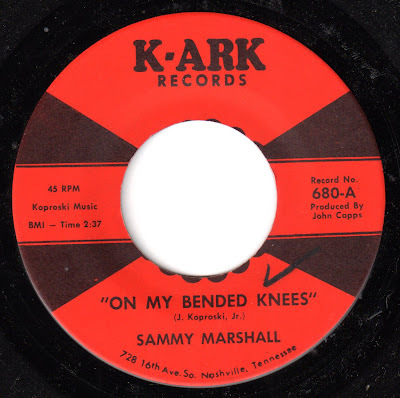 A few months ago, I posted a pair of songs written by John Koproski, released on his family's Silver Records label, and mentioned that his son, John Jr., wrote a couple of Sammy Marshall dance classics which have turned up on Song Poem compilations. 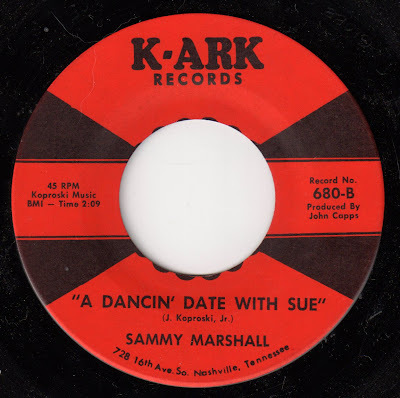 Today, here is another John Koproski, Jr. record, and it's another winning dance number, performed yet again by Sammy Marshall. 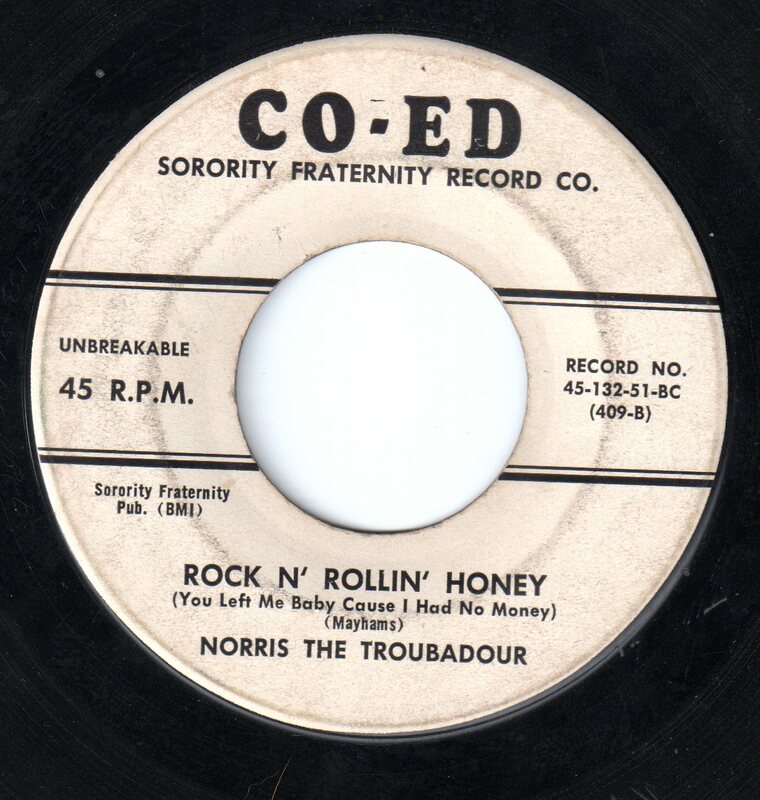 The oddity here is that although both the Song Poem Website and a different Silver Records discography shows this record to have also been released on Silver (with the same flip side), my copy is on K-Ark Records of Nashville, which appears to have been more of a Rockabilly label, with no clear link to the song-poem business that I can figure out at this moment. 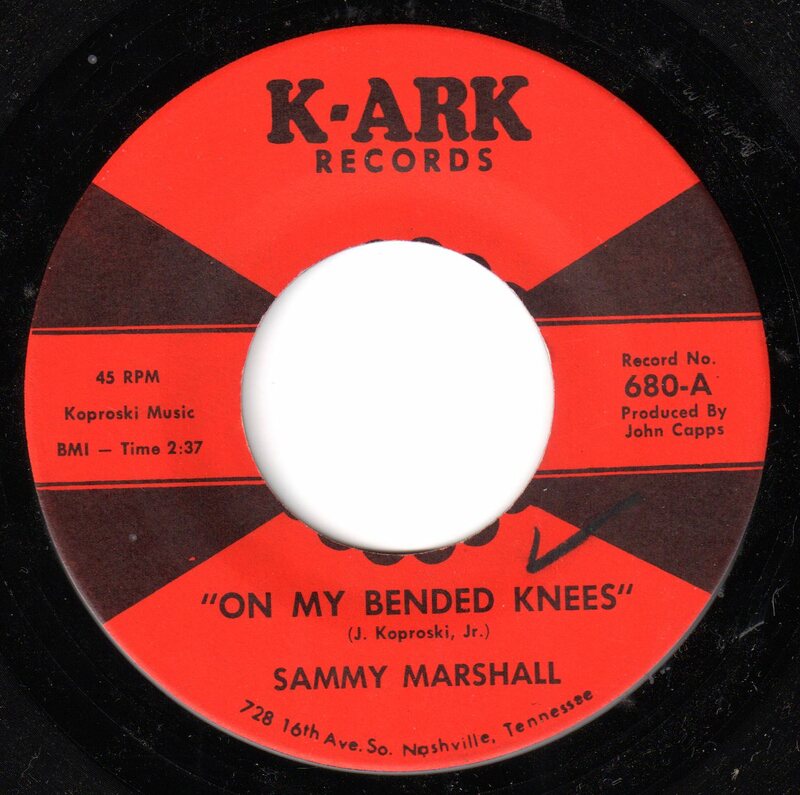 Regardless of all that, this goes along with "Twist and Turn" and "Rock and Roll Boogie Beat" in the pantheon of great Sammy Marshall movers and groovers! 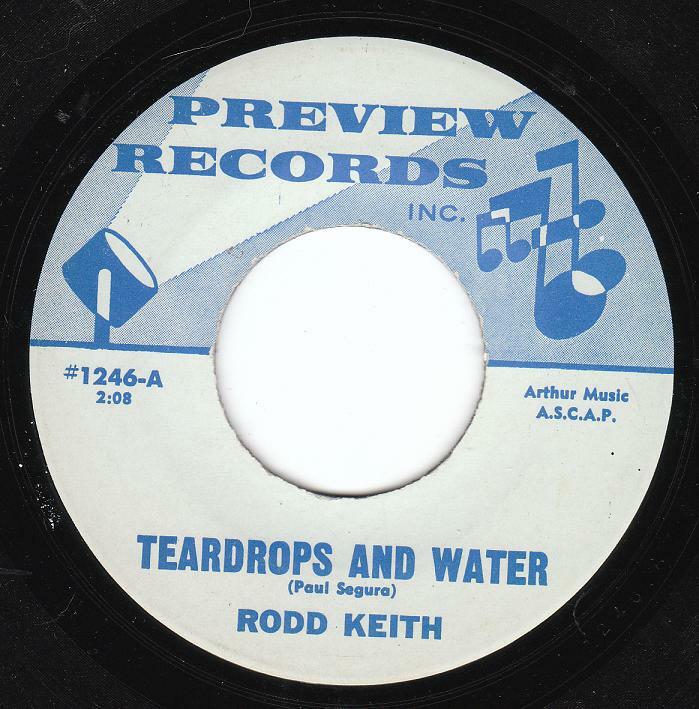 The dreary flip side, "On My Bended Knees", was not only listed as the A side of this record, it was also recorded for Silver, previously to this release, by another artist (George Bryan), with a flip side to that version titled "A Dancing Pair of Shoes". 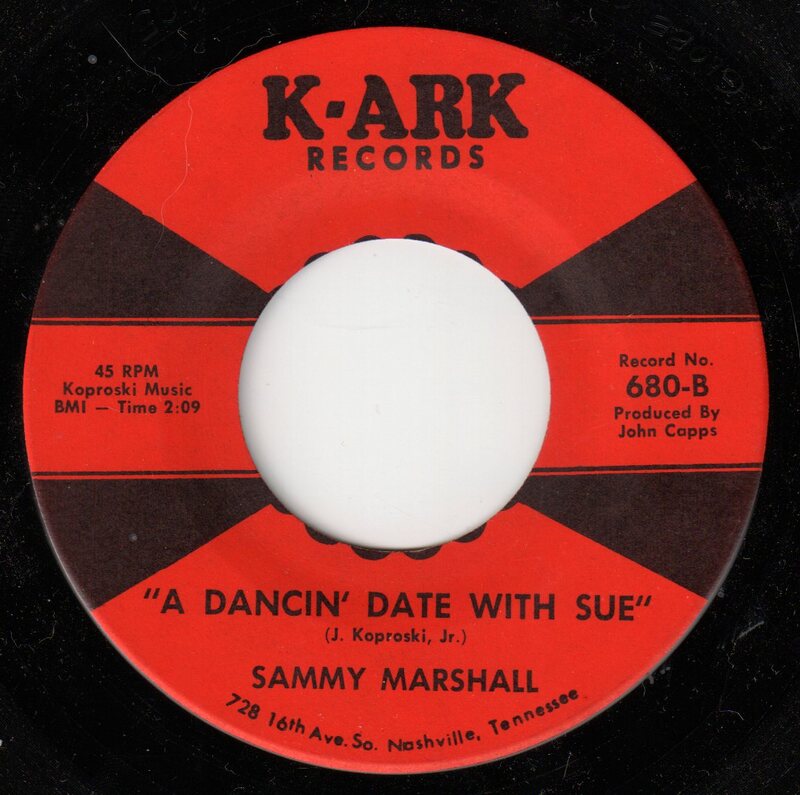 How many of you would guess that the "Pair of Shoes" song was rewritten a short time later as "A Dancin' Date With Sue"? 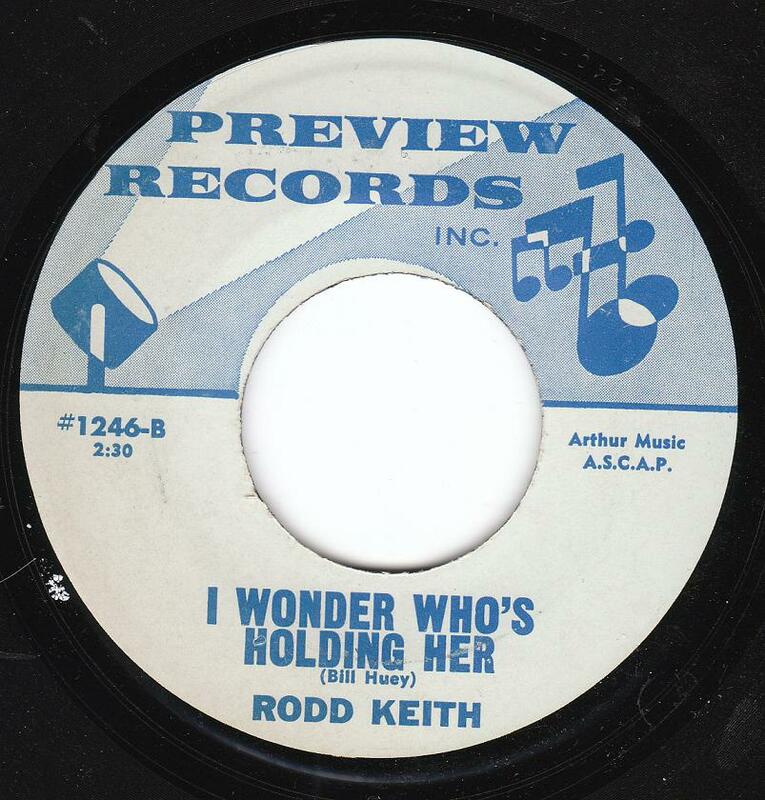 The plural in the title of this song makes it sound as if the singer is praying to his girl, rather than proposing, doesn't it? I was surprised to find that it has been just about exactly a year since I featured that most inaccurately named of song-poem groups, "The Real Pros", or their home label, Cinema. 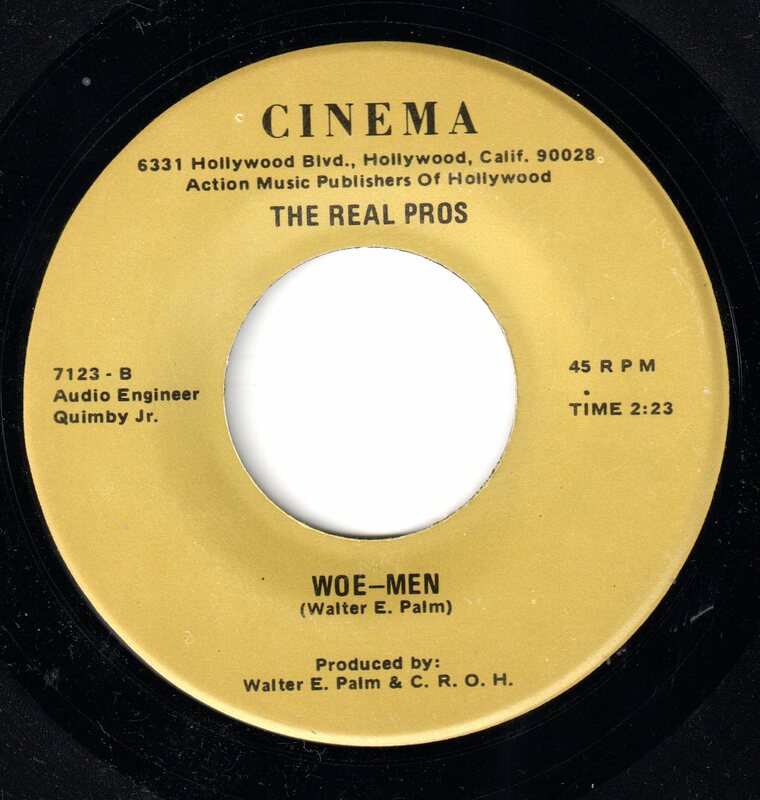 Today's offering comes from my favorite era for the group and label - their earliest releases, most of which feature what appears to be a one man band, playing one of those cheesy 1970's home keyboard/organ things that had preprogrammed beats and accompaniments. A few of my all time favorite song-poems come from this fairly tiny subset of records, and while today's offering doesn't reach the heights of "I'm Having My First Heartbreak" or "Deep Freeze Mama", it has some of the same qualities that make both of those records so special. 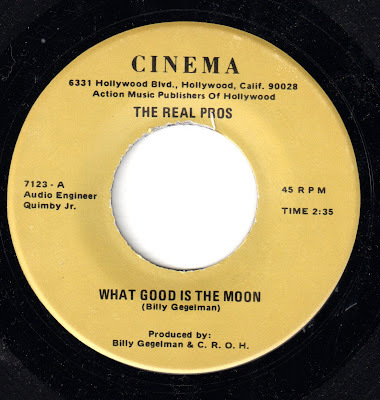 The flip side, "What Good is the Moon? 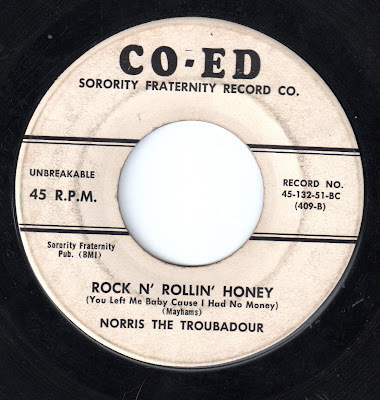 ", has an equally artificial beat - a samba this time - and a more standard (and therefore less unusual/interesting) set of lyrics. 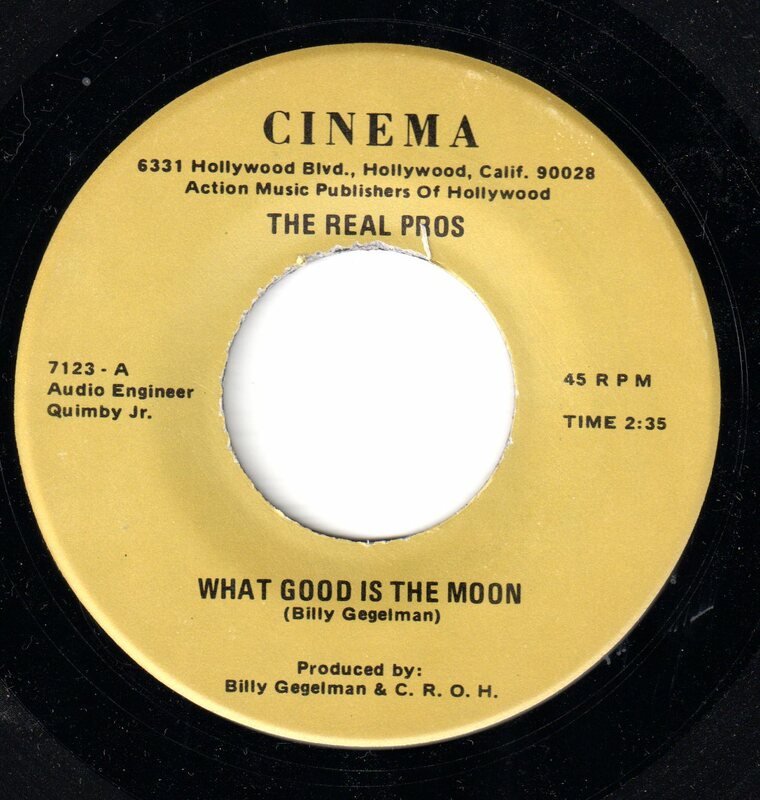 The singer on these songs is the same person who sings on those much beloved records I mentioned earlier, and while he sometimes sounds like Gene Marshall, I don't think that's who this is, and I'm not sure I've ever heard this singer on any other (non Real Pros) song-poem records. What do you think? 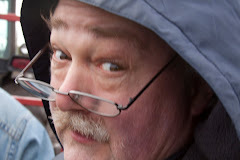 Today, a return visit to one of my favorite characters from the world of Song-Poems, Norridge Mayhams. I'd feature him more often, but my collection of his music (aside from a CD reissue of his 1976 compilation double album, which I believe has circulated widely) is far more limited than I'd like.